from collateral news: Project Artichoke. MKULTRA. The CIA has a long & sordid history of using mind-altering drugs on unsuspecting victims. But until recently, many thought that that's just what it was: history. Yet new reports from more than two dozen Guantanamo detainees indicate that forced drugging may be routine practice once again. from danger room: "If you wanted a sure sign that the Orwell-ization of Great Britain is underway, then look no further than this," says Gizmodo. 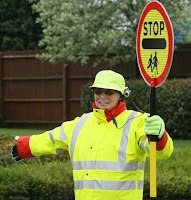 "Lollipop ladies, those kindly old women who man the main roads next to school, similar to the US crossing guard, have been issued video cameras to record lollipop rage - as school-side road rage is known." Shoot me. He is now known as the first person to experience a 'trip' from taking it. Since then, LSD aficionados around the world unofficially proclaimed April 19, 1943 as Bicycle Day... Hofmann is also credited with the discovery of psilocybin, which is the main hallucinogenic found in Psilocybin mushrooms. He also discovered the make-up of Ololiuqui. from paul joseph watson: Barack Obama’s outspoken pastor, Rev. Jeremiah Wright Jr., defended his statements accusing the U.S. government of deliberately engineering the AIDS virus as a means of genocide during a National Press Club appearance yesterday by citing the documented history of the U.S. government’s involvement in biological warfare operations against innocent people. Asked if he stood behind previous statements about the U.S. government deliberately creating AIDS as a means of genocide against black people, Wright responded, "Have you read Horowitz’ book - Emerging Viruses - AIDS and Ebola?" "Have you read Medical Apartheid," continues Wright as he is heckled from the floor. As researchers shunned by the media, people like Dr. Len Horowitz & Boyd Ed Graves, have asserted, evidence to suggest that the U.S. military-industrial complex artificially engineered the AIDS virus as a means of population control is compelling. from danger room: The Israeli military doesn't have any Guardium robotic sentries on patrol. 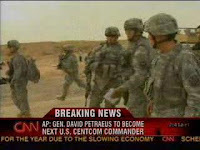 But that doesn't stop the Associated Press from proclaiming the machine to be "Israel's newest soldier." from jones report: Members of We Are Change UK questioned ex-BBC reporter Phil Hayton about the early reporting of WTC 7's collapse during a speaking appearance. Hayton failed to recollect even being in the studio on the day of 9/11 - at first - but then recalls the situation when it is described in detail, including the actions of Jane Standley, who reported the collapse some 26 minutes in advance with WTC Building 7 still visible in the background. "A lot of eyebrows were raised," We Are Change reporters point out in summary, because many saw it as a clear controlled demolition, including a number of engineers. Hayton responded, pointing out that he was not aware of the situation with WTC 7. "This sounds so significant-- I'm just amazed I didn't know about this... This is completely news to me." "So, is there no official explanation?" Hayton further probed. from jones report: Nate from Portland caught up with Clinton during another campaign event. He ask the former president about his feelings on the Bush administrations efforts to investigate 9/11. "Do you mean do I agree with all the reports' conclusions? I don't, but I don't believe there's any chance that 9/11 was an inside job," Clinton responded. from jones report: A member of We Are Change L.A. was assaulted and cursed at by former White House speech writer David Frum during a book signing... Frum - a neo-con policy maker who is often credited with coining the phrase 'Axis of Evil' - allegedly lost his temper when he recognized Stewart Howe, of We Are Change L.A., from a previous book signing. Howe approached Frum to ask a question when Frum became angry, and then violent, reports indicate... Frum could be the first of former Bush Administration officials to actually get violent with reporters, though a number of mainstream media outlets have called for violence against 9/11 truthers, and at least one Bush supporter physically attacked a truther last week. David Frum was quoted as saying, "Turn off the camera. Go away!" as he smacked the camera during the book signing event. from vid research league: Segment from the Charlie Brooker's brilliant program "Screenwipe". 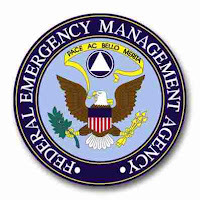 from rogue government: FEMA announced recently that they will be conducting a national disaster exercise called National Level Exercise 2-08 (NLE 2-08) from May 1st through May 8th. The purpose of this exercise is to prepare and respond to multiple incidents including natural disasters and terrorist incidents. Specifically the exercise involves a Category 4 hurricane impacting the Mid Atlantic Coast and the National Capitol Region as well as multiple terrorist attacks in Washington State, an accidental chemical agent release in Oregon and assorted aerospace events in North American airspace. Considering that the U.S. government conducted drills and exercises like Operation Northern Vigilance, Tripod II, among others to serve as cover for the government sponsored false flag terror attacks of 9/11, we need to pay close attention to these government sponsored drills and exercises. A similar scenario also occurred during the 7/7 terror attacks in London. On that day, drills depicting events mirroring the actual terror attacks were run at the exact same time the bombings took place. The odds of these being two completely random events is so incredibly unlikely that it boggles the mind. NLE 2-08 is a wide ranging exercise that will include not only FEMA but the Department of Homeland Security, U.S. Transportation Command, the National Guard, USNORTHCOM, NORAD and Canada Command. Much like TOPOFF-4/Vigilant Shield 08 a martial law exercise that took place last year involving many of the same government institutions, we definitely need to keep track of NLE 2-08. According to the Web site, the checkpoints will feature soothing music to calm passengers, easy-to-read signs and Plexiglas conveyor belts allowing passengers to see their luggage move through the inspection process. The system also uses a new full body scanner. The TSA says it doesn't show a person's face and says images are deleted immediately after they are reviewed. from ap: More & more, trains & bus riders in the Cleveland area are being watched. 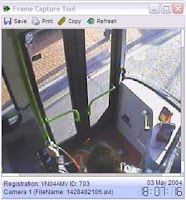 The Regional Transit Authority is working toward installing cameras on all 700 of its buses. Rapid trains are next, with most to be equipped by the end of the year. The chief of the RTA's police force, John Joyce, says the cameras have led to arrests for everything from felonious assault to arson. He says they've also acted as deterrent. According to Greg Hull of the American Public Transportation Association, improved technology and cheaper prices have made it easier for transit agencies across the country to add cameras. The availability of Homeland Security grants and other federal money has also contributed to the recent, more widespread use of the cameras. 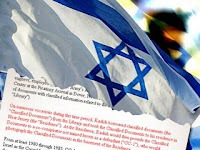 A former senior CIA counterintelligence operative believes the case “will never go to trial, because of all the ugly stuff that would come out” about Israeli activities in the United States. Indeed, Justice Department attorneys have fought to keep “ugly stuff” from emerging in the trial of two officials of the American Israel Public Affairs Committee, or AIPAC, charged with accepting classified documents from Pentagon official Larry Franklin. But the federal judge in the case has indicated he might not go along with their strategy. Last month Judge Thomas Ellis III indefinitely postponed the trial of AIPAC officials Steven Rosen and Keith Weissman, which was scheduled to open next week. from guardian: Most of us end disputes through the power of rhetoric. We make eloquent, compelling arguments, apologise for misunderstandings, and express our heartfelt opinions. However Morrissey takes a different tack. He donates loads of money. Yesterday's Love Music Hate Racism carnival at Victoria Park, London, was by all accounts a success. Hard-Fi and the Good, the Bad & the Queen played, spirits were high, music was loved and racism was hated. But the event would not have been able to happen at all were it not for a bail-out from Moz and his friends, it emerged this weekend. Morrissey donated a reported £28,000 and persuaded his management, booking agency and promoters to chip in another £45,000 after one of the festival's major sponsors pulled out. Event organisers Martin Smith and Lee Billingham said they were "extremely grateful" for Morrissey's "generous financial contribution". The donation comes several months after Morrissey's much-publicised kerfuffle with the NME (and a planned Love Music Hate Racism campaign), when he made some rather dubious comments about UK immigration. In an interview with Tim Jonze, Morrissey stated that "the gates of England are flooded. The country's been thrown away". He later insisted that he had been misinterpreted, hates racists, and may be pursuing the NME with legal action. Now he's put his money where his mouth is. "This is a historic event, spreading an important, anti-racist, message so it must be allowed to go ahead," he told journalists. "This is something I am committed to and we appreciate everyone coming together so quickly to make it happen." from fort mill times: Chicago police officers will be armed with combat rifles to better rival the firepower of street gangs, police Superintendent Jody Weis has announced. Weis unveiled the plan to equip and train the department's 13,500 officers with M4 carbines on Friday. Details about when the change would happen and who would pay for the guns were not disclosed. The idea came as a surprise to many, since Chicago Mayor Richard Daley is a vocal gun control proponent. At a news conference Saturday, Daley said the M4 carbines "will be seldom used" and while he is an advocate of gun control, the decision to equip officers with the rifles was "not difficult." "The weapons of criminals are getting bigger and bigger," he said. Chicago Police SWAT teams are equipped with M4 carbines, but police officers are currently only allowed to carry handguns. The M4 is a short assault rifle used by the U.S. Marine Corps. It fires more shots in less time than most handguns. from press tv: An Iraqi member of parliament has revealed that the US forces have used forbidden weapons against Iraqi civilians in Baghdad's Sadr City. DPA quoted Leqa Yasin, a Sadrist lawmaker in the Iraqi parliament, as saying that technical and medical examination on the bodies of the victims and wounded of the recent clashes show that US occupation forces have used cluster bombs against civilians in Sadr City. She said cluster bombs have caused many civilian deaths, with shrapnel left in the bodies of the victims. Since March 25, the densely populated slum area has come under frequent attacks by US aircraft and artillery, killing hundreds of civilians and wounding many more. from steve watson: State Sen. Karen Johnson, R-Mesa, has come under fierce criticism for going on record with her doubts over the government's version of events surrounding the 9/11 attacks. Following a vote in the Senate Appropriations Committee on Arizona's 9/11 Memorial, Johnson told Capitol reporters "There are many of us that believe there's been a cover-up." Details of Johnson's comments come in an vicious hit piece article in the Arizona Republic entitled Drinking the 9/11 Kool-Aid... The conservative Republican senator, who has represented Mesa’s District 18 for nearly two decades, is renowned for her outspoken politics and devotion to the US constitution. from boston globe: Over the past few years, some patrons of Lexington's Cary Memorial Library have had the misfortune of encountering a person exposing himself. Five such incidents, along with vandalism that destroyed about $13,000 worth of property, prompted library officials and police to consider installing surveillance cameras, which increasingly are being used by local authorities to help maintain law and order and to keep property losses to a minimum, they said. from fox news: Springfield's men in black are returning. The city's new police commissioner, William Fitchet, says members of the department's Street Crime Unit will again don black, military-style uniforms as part of his strategy to deal with youth violence... Sgt. John Delaney told a city council hearing Wednesday that the stark uniforms send a message to criminals that officers are serious about making arrests. Delaney said a sense of 'fear' has been missing for the past few years. from computerworld: Just imagine if one day in the near future the FBI comes to your enterprise with warrants that allow them to seize and remove any computer-related equipment, utility bills, telephone bills, any addressed correspondence sent through the U.S. mail, video gear, camera equipment, checkbooks, bank statements and credit card statements. The first question you'd ask is, "Who has done what?" from washington times: Maryland has lost track of an unknown number of identification cards granting bearers unrestricted access to secure government buildings and courthouses across the state... The ID cards, issued to state employees, lobbyists, contractors and others, have also been issued without appropriate efforts to verify the identities of the applicants, according to a report by the Office of Legislative Audits. "As a result, there was a lack of assurance that all state ID cards issued were proper," the audit found. from collateral news: If you subscribe to the common wisdom, you probably think politicians are corrupt. If you're a reasonably well-informed citizen, at least you know their names. But imagine if you weren't permitted to know the identity of your congressperson or senator. Imagine that congress met & voted on laws in secret. Would you tolerate it? The fact is you already do. from press tv: Twenty-two years after the atomic reactor disaster in Chernobyl, people in Ukraine, Russia& Belarus held memorials for the victims. In many Ukrainian towns and cities, people laid flowers & wreaths at memorial monuments & lit candles. Ukrainian Emergency Situations Minister, Vladimir Shandra, said hundreds of villages around the site of the accident were still contaminated and uninhabitable as they are too dangerous for people's health. "In 500 still inhabited villages, levels of radioactive caesium in food were over permitted limits," Shandra said. There is still uncertainty over the exact extent of the damage caused by the April 26, 1986, accident in the Chernobyl reactor in northern Ukraine. While a central study by the World Health Organization (WHO) says that 4,000 people would die in the long term as a result of the accident, opponents of nuclear energy say there will be up to 100,000 deaths. from idaho statesman: Greenpeace founder Patrick Moore says there is no proof global warming is caused by humans, but it is likely enough that the world should turn to nuclear power - a concept tied closely to the underground nuclear testing his former environmental group formed to oppose. The chemistry of the atmosphere is changing, and there is a high-enough risk that "true believers" like Al Gore are right that world economies need to wean themselves off fossil fuels to reduce greenhouse gases, he said. it was originally broadcast by portland community media on april 24, 2008.
from alex ansary: The latest edition of Outside the Box brought to you by Portland, Oregon's Alex S. Ansary. from ap: Wesley Snipes was sentenced to three years in prison on tax charges Thursday, a victory for prosecutors who sought to make an example of the action star by aggressively pursuing the maximum penalty. Snipes' lawyers had spent much of the day in court offering dozens of letters from family members, friends even fellow actors Woody Harrelson and Denzel Washington attesting to the good character of the "Blade" star and asking for leniency. They argued he should get only probation because his three convictions were all misdemeanors and the actor had no previous criminal record. But U.S. District Judge William Terrell Hodges said Snipes exhibited a "history of contempt over a period of time" for U.S. tax laws, and granted prosecutors the three year sentence they requested one year for each of Snipes' convictions of willfully failing to file a tax return. from raw replay: An attorney has filed an illegal parking complaint against a Portland police officer. Eric Bryant says he was sitting at a restaurant in the trendy Northwest part of town when Officer Chad Stensgaard parked his patrol car next to a “No Parking” sign and walked inside to wait for his food. Bryant told the Portland Mercury, an alternative weekly newspaper, that Stensgaard acknowledged the no parking sign when asked about it, but then just watched a basketball game on TV until his food was ready. Bryant says he looked up the law and then filed a complaint as a private citizen, alleging violations with fines totaling $540. from hamilton spectator: A Hamilton man Tasered by police is in hospital after the stun gun ignited a "flammable object" in his pants, burning him... "Three officers went there in response to a disturbance call," said SIU spokesman Frank Phillips yesterday. "During the interaction, an officer discharged his Taser. A flammable object the man had in the waistband of his pants ignited."... Tasers are electrical discharge weapons that incapacitate a person by affecting the nervous system and muscle control. Hamilton police discharged their Tasers 50 times last year. from raw replay: A Chicago man remains in critical condition after police shot him with a taser for 24 seconds. Police asked the local sheriff to investigate the use of a taser on Kevin Piskura because of the seriousness of his injuries. Piskura allegedly began fighting with officers when they responded to reports of a scuffle at a local bar. Officers called an ambulance when Piskura stopped breathing. Similarly equipped NYPD units, known as "Hercules Teams," have patrolled Wall Street, the Empire State building and other aboveground city landmarks for years as a response to the World Trade Center attacks. A police official likened the "Torch Teams" to "Hercules Teams" with metro cards. In this age of heightened security, commuters and keen canines will share the underground world of mass transit. from wikinews: Two well-known critics of Scientology have had their user accounts on the video sharing website YouTube suspended. The YouTube accounts of both Tory Christman and Mark Bunker were suspended this week. In a statement to Wikinews , YouTube explained why accounts are suspended, but did not specifically state why these particular accounts were suspended. Neither Christman nor Bunker received a notice or explanation from YouTube as to why their accounts were suspended. from ap: The Walt Disney Co. says it will launch a new film production unit called Disneynature to produce documentary films about the environment. 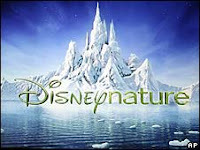 CEO Robert Iger said Monday the unit marks a return to the Disney tradition of making nature films. The first of seven planned films will be "Earth," set for release on April 22, 2009, which is Earth Day. from reuters: Mexico's top electoral body ordered broadcasters to stop running a controversial TV ad on Monday that compares a firebrand leftist leading a siege of Congress to dictators Hitler and Pinochet. The TV ad, funded by a Mexican businessman angry at a blockade of Congress by opposition lawmakers trying to derail an oil reform plan, says the antics of protest leader Andres Manuel Lopez Obrador are endangering democracy. "The complaints committee decided unanimously to order the withdrawal of the spot from today," a spokesman for the Federal Electoral Institute told Reuters. from wikinews: A civilian known as 'Jimmy Justice' who resides in New York City (NYC), New York, the largest city in the United States, has been videotaping NYC police officers and city workers, breaking the law while on the job. Since 2007, he claims to have caught "hundreds of officers and other city employees violating the law," and says he has them all on camera. He has posted his best confrontations with them to the video sharing website YouTube. from washington post: Federal prosecutors announced Wednesday that they will try for the third time to convict six men accused of plotting to blow up Chicago's Sears Tower and attack other buildings. "The United States has decided it's necessary to proceed, your honor, one more time to a jury," prosecuting attorney Richard Gregorie told U.S. District Judge Joan A. Lenard at a hearing. In arguing for a new trial, Gregorie pointed to taped conversations obtained by the FBI in which the leader of the "Liberty City Seven," Narseal Batiste, made threatening comments about citizens of the United States. "In referring to Americans, Mr. Batiste said he wanted to kill all the devils," Gregorie told the judge. from ap: The government is scrapping a $20 million prototype of its highly touted "virtual fence" on the Arizona-Mexico border because the system is failing to adequately alert border patrol agents to illegal crossings, officials said. 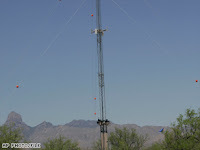 Boeing is to replace the so-called Project 28 prototype with a series of towers equipped with communications systems, cameras and radar capability, officials said. from buffalo news: Buffalo has launched its anti-crime surveillance camera initiative following an eight-month installation and "tweaking" process... "We will be one of the elite camera systems in the United States of America"... In the longer term, the Police Department hopes to expand the surveillance system by obtaining viewing rights to cameras that the school district and the Buffalo Municipal Housing Authority plan to install around some of their properties. from ap: Cars passing O'Terrill's pub screech to a halt at the sight of a 300-pound, waist-high robot marked 'SECURITY' rolling through downtown long after dark. The regulars hardly glance outside. They've seen bar owner Rufus Terrill's invention on patrol before — its bright red lights and even brighter spot light blazing, infrared video camera filming and water cannon at the ready in the spinning turret on top. from iht: The United States has less than 5 percent of the world's population. But it has almost a quarter of the world's prisoners. from usa today: President Bush has set a record he'd presumably prefer to avoid: the highest disapproval rating of any president in the 70-year history of the Gallup Poll. In a USA TODAY/Gallup Poll taken Friday through Sunday, 28% of Americans approve of the job Bush is doing; 69% disapprove. from press tv: The dollar has sunk to a record low against the euro which crossed $1.60 as it also fell against the Japanese yen and the British pound... The 15-nation currency hit its last record of $1.5982 Thursday. It dropped back Friday after a Wall Street rally generated optimism that the worst of the US credit crunch may be over. from ap: An 18-year-old accused of planning to bomb his high school will be charged with attempting to use a weapon of mass destruction, which carries a possible life sentence, the top federal prosecutor in South Carolina said Tuesday. Ryan Schallenberger also will face two lesser federal charges stemming from what authorities say was a scheme to detonate explosives in a suicide attack on his high school in the small town of Chesterfield. The straight-A student will be charged in federal court in Florence on Tuesday afternoon, said Kevin McDonald, the acting U.S. attorney for South Carolina. McDonald said the federal charge comes into play mostly because Schallenberger ordered materials that can be used for bombs through the mail. from reuters: The former head of the U.S. Environmental Protection Agency cannot be held liable for assurances she gave about air safety following the September 11 attacks in New York, a federal appeals court ruled on Tuesday. 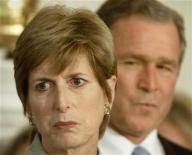 Christine Todd Whitman led the agency at the time of the attacks and was sued by people who lived and worked in lower Manhattan who accused her of statements that "falsely represented ... that the air in and around lower Manhattan was safe to breathe." from voa: The Department of Justice says federal authorities arrested Ben-Ami Kadish, a U.S. citizen and mechanical engineer, on charges of taking part in a conspiracy to disclose national defense information to Israel. 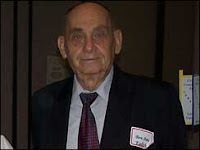 Kadish's alleged Israeli contact is believed to be the same handler who received information from convicted Pentagon spy Jonathan Pollard, who is serving a prison term for spying for Israel.